Last week, the IAAF announced the finalists for the World Athlete of the Year. No surprise, the nominees are Usain Bolt, Mo Farah, Bohdan Bondarenko, Shelly-Ann Fraser-Pryce, Zuzana Hejnova and Valerie Adams. Bolt and Fraser-Pryce are the heavy favorites. Each year we engage in a fruitless task of comparing athletes across events in track and field to try to decide who is the best. It is less apples to oranges and more apples to canoes as my co-host Jason likes to say. Opportunities to compete, depth of fields and ability to double (or even triple) vary widely from event to event. If someone has a way to compare an undefeated shot putter against triple gold winning sprinter, I would love to hear it. 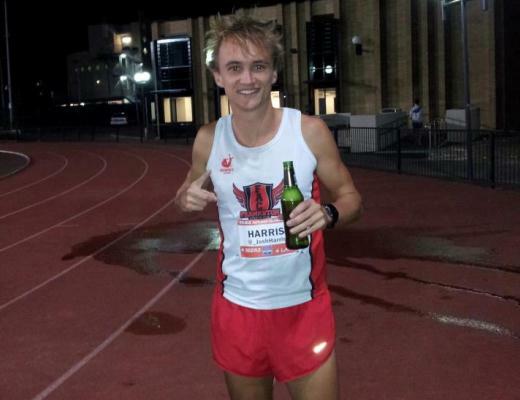 It gets even more complicated when you try to measure exploits on the track against marathoners. Although road racers and cross country runners are eligible to win the prize, they have never taken top honors in the history of the award. The voters are probably never going to choose a marathoner to be the Athlete of the Year. And they shouldn’t. The award isn’t geared toward them. Marathoners compete less frequently, and rarely find themselves in a race where all of the world’s best are present. The finalists are announced in the fall, which means in most cases that only a spring marathon is taken into account. If they did wait, I’m not sure how in 2011 Usain Bolt possibly could have beaten Geoffrey Mutai. Now that the fall marathon season is over, we should give the marathoners a fair shake and try to figure out who would be the marathoner of the year. The World Marathon Majors do a good job selecting the best marathoner over a two-year period on merit. But what the world really needs is a subjective ranking based on just one year. Don’t worry, I am here to fill that void. Simple rules here–all results at the marathon distance in 2013 are taken into account. For the men, six runners deserve consideration. Wilson Kipsang: Berlin champion (World record), 5th in London. Notably absent from this list is Stephen Kiprotich who won the World Championships in August. His other results this year were a 6th in London, and 12th in New York City. These are solid performances, but not enough to get him into the final six. How do we pare down the group from here? This is a yearly award and not just based on a single performance, thus it is hard to include anyone who didn’t have at least two top five finishes. Sorry, Geoffrey I know you got some great airtime on ESPN and enjoyed the four different ways American broadcasters pronounced your name, but your 2013 was too back-loaded. Of the remaining five, we have four who won major marathoners and Emmanuel Mutai, who finished second in two of the deepest fields of the year. He was spectacular in both, but amongst this group you have to have at least one major win to stay on the board. 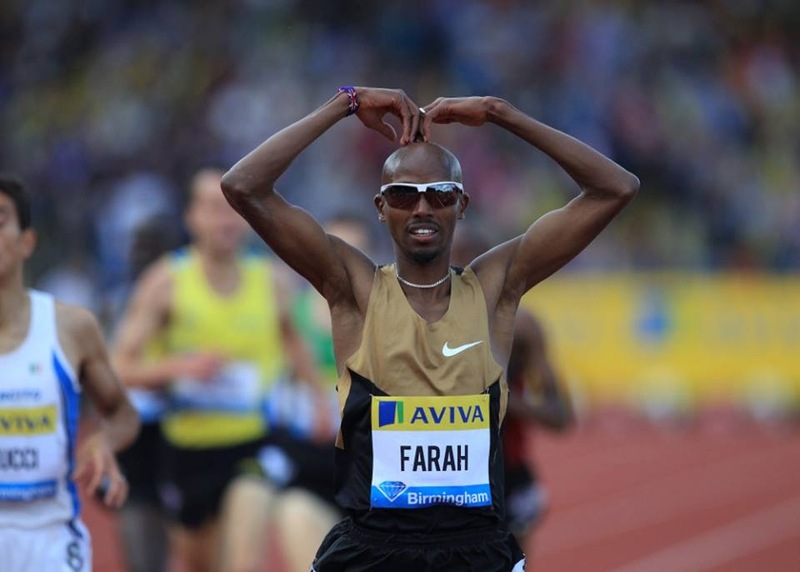 With both Mutais out, the final four includes two Ethiopians and two Kenyans. Desisa has two wins and has the added bonus of competing well in three marathons. However, none of the three were all that deep. Dubai is a pancake flat course where seemingly every Ethiopian citizen runs under 2:05. If Paul Ryan said last year that he ran his sub 3-hour marathon at Dubai, he would have received no second looks from the running community. Boston’s field played second fiddle to London and the World Championships didn’t have any of the top Kenyans. Desisa’s one saving grace is that he placed above Kebede in Moscow, but Kebede’s two other results are better than Desisa’s. Is it blasphemy, if I say that at least two other runners could have done what Kipsang did in Berlin? Given the perfect pacing and the great weather, I think his performance could have been replicated, especially after Kimetto and Mutai gave his record a scare two weeks later in Chicago. I’m not arguing that next year five guys are a lock to break 2:03:23. But on that day in Berlin, with the same opportunity as Kipsang, I think it could have been done. If my pick were based on who I thought is the best in a hypothetical marathon right now, it would be Kimetto. He broke 2:04 and won going away in Chicago. In many ways (see above), the Chicago win was more impressive than what Kipsang did in Berlin. If those cancel each other out, then the tiebreaker is a first place in Tokyo vs. a 5th place in London. Another hypothetical here. Kebede decides not to run the World Championships. Maybe it is because he doesn’t want to represent the country that was egregiously stupid in leaving him off their Olympic team. Or, he sees the schedule, knows he doesn’t run well in the heat and decides that he will cede the win to Kiprotich in hopes of clinching the World Marathon Majors victory in the fall. Either way, imagine Kebede doesn’t run in Moscow. If he rested, and had a proper preparation for New York, instead of an 11-week cram session, could he have challenged Geoffrey Mutai? How much of the 52-second gap would have been erased had Kebede turned his eyes to New York City immediately after his London win? None of this is necessarily related to his #1 ranking. After all, I am basing these numbers on what did happen, not what could have. Beating Mutai (x 2), Kipsang, Kiprotich, Abshero, Makau, Lelisa and Biwott in London is the most impressive victory of the year. The race was so quick in the first half, that it turned sloppy over the final miles. Sill, Kebede beat all of the big names and still managed to almost crack 2:06. Add in the runner-up to Geoffrey Mutai, on a course that Mutai owns, and we have our number one men’s marathoner of 2013. This shouldn’t take nearly as long as the men. Priscah Jeptoo dominated in London and then negative split the field to death in New York City. Rita Jeptoo (I like how the women have a version of the Mutais) has major wins in Boston and Chicago. Clearly, this is a two-woman race. By margin of victory, Priscah has a slight edge. She won by 1:17 in London and 49 seconds in New York City. Rita won by 51 seconds in Chicago and 33 seconds in Boston. They each won one race with pacers and one without. Rita’s 2:19:57 is the fastest time in the world, but Priscah’s 1:09 last half in New York City deserves recognition all of its own. Both only ran two marathons in 2013, so we can’t look to any other race for separation. Since I can’t have a tie in my inaugural Marathoner of Year award, I need to split some hairs. Runner-up to Priscah in London, was Edna Kiplagat. If we went three deep like the men’s, Kiplagat would be my pick for third best marathoner of 2013. Thus, Priscah’s win over her represents the best head-to-head win of the year. We need a run off. Thou shalt not believe anything uttered during attempts to sell a book. Though he has only spent 27 years on earth, Usain Bolt has already released two autobiographies. The last, titled “Faster Than Lightning” made its way to fine bookstores last week. 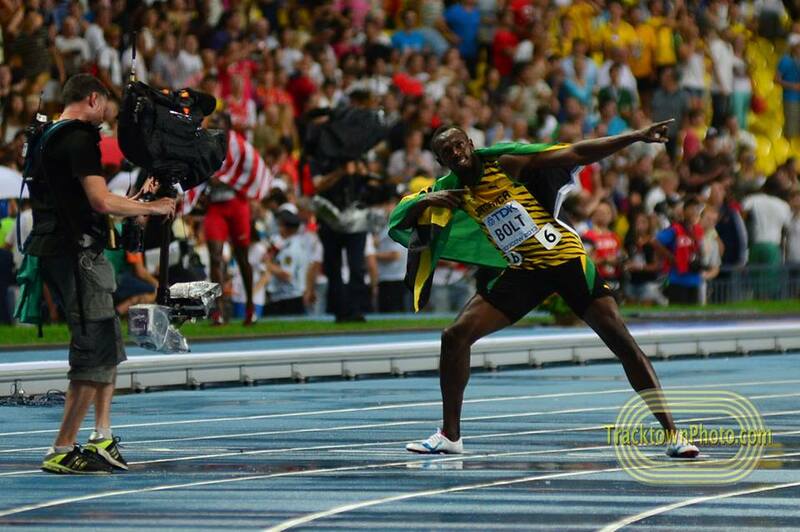 The most publicized revelation is Bolt’s claim that he ate 100 chicken nuggets a day during the Beijing Olympics. From a track perspective, the more interesting passage from the book was Bolt’s assertion that he could break 19 seconds in the 200. Aside from anyone who pays any attention to track? Nobody. First, I don’t think that Bolt himself even believes this. He knows that “hey guys, I’m probably never going to touch my 19.19, but I’m so far ahead of everyone else right now I’ll be able to run some 19.5s and 19.6s over the next few years and still win” doesn’t draw quite the same headline as a record prediction. However, let’s take it seriously for a moment though, only so we can discuss why exactly it is so preposterous. 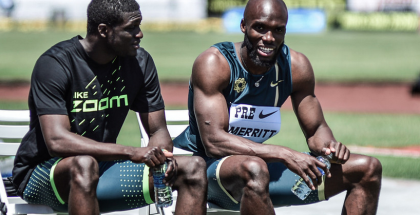 Here are Bolt’s season bests in the 200. This progression makes a time in the 19.20s appear unlikely, let alone a personal best. This season will mark five full years since he ran his 19.19. Since that time he has only broken 19.40 once. A 18.99 (it feels weird to even type that number when discussing 200 meter times) would mean dropping his existing record another .20 seconds. 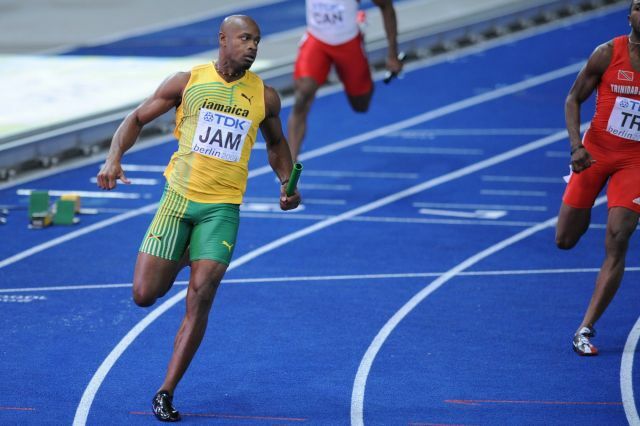 This is larger than the gap that existed between Bolt’s 19.19 and Michael Johnson’s otherworldly 19.32. To suggest that Bolt could break 19 is to believe that one athlete is capable of two generational advances of a record during their career. The IAAF scoring tables actually say that Bolt’s 9.58 is a better performance than his 19.19. The tables also chart a sub 19 as roughly equivalent to a 9.50. Not that they would need to line up perfectly, but this means Bolt would probably have to improve his 100 to the low 9.5s to have a shot at sub-19. At 27, and with frequent health problems, that isn’t going to happen. If Bolt wants to make a headline that is somewhat grounded in reality he should float the idea of the 400. After all, Michael Johnson’s world record of 43.18 equates to a pedestrian 19.50. In the fall marathon chaos, I didn’t get a chance to discuss Sacramento’s successful bid to host the 2014 USA Outdoor Championships. Sacramento has hosted Olympic Trials recently so perhaps this is the first step in them receiving a more coveted championship. In most cases, hosting in a non-championship year is more of an obligation than an honor. Recently, Des Moines hosted in the dead year of 2010 and was rewarded by winning the bid to stage the 2013 championships. For 2014, there are already indications that the meet will be flat. Last week on the Daily Relay, Danny Mackey coach of the Brooks Beasts group said that he was unsure if his group would compete in Sacramento. The Beasts group is based in Seattle. If they aren’t making the short flight to compete in a national championship, I think we can infer that other bigger name groups and athletes will also deemphasize winning a championship in an off year. With big name athletes out, will the fans follow? By my count, there are at least four outdoor professional meets in the United States that will be a better ticket than Sacramento–Penn Relays, Drake Relays, Prefontaine Classic and the Adidas Grand Prix in New York City. Mike Cassidy writes about his experience running with Meb Keflezighi in the final miles of the New York City Marathon. Michael McKnight of Sports Illustrated tells the story of the overlooked rival of Jesse Owens, Eulace Peacock. Not your typical hype video, this clip from Western Washington University is complete with aerial views.